Our restaurant is open Sunday evening in Rennes. Looking for a restaurant open in Rennes on Sunday night? 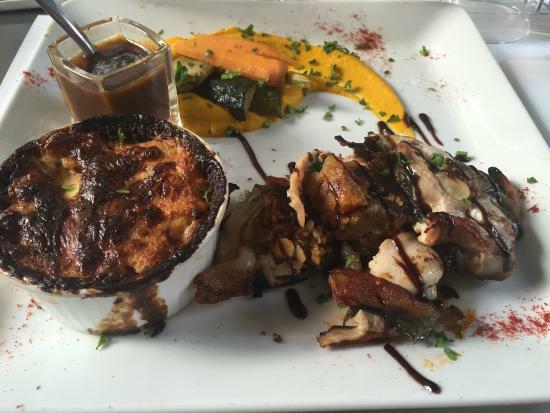 Discover now the Bistro Volney , bistronomic restaurant open every day of the week in the city center of Rennes. Increasingly open Sunday evening restaurants are scarce. Yet that day is right to take his time and discover new tables. The restaurant Bistro Volney is open 7 on 7, and every Sunday evening from 19h to 22h for a single moment in a romantic and quiet to discover our products in privacy : Deco neat, romantic , refined cuisine made with fresh products and home , not to mention outstanding wine list ! We thus offer a unique journey to the end of the weekend! Feel free to book for a family meal , friends or lovers !